blog.dinogane.com: MIT Enterprise Forum: What does the current economic crisis mean for European entrepreneurs and investors? MIT Enterprise Forum: What does the current economic crisis mean for European entrepreneurs and investors? Intel was co-founded by an MIT graduate. The UK MIT Enterprise Forum held an event last week, Wed 26th November, titled 'What does the current economic crisis mean for European entrepreneurs and investors?'. At the event, Abdul Guefor, Managing Director of Intel Capital EMEA, gave a talk on Intel Captial's business and current financial situation. I was particularly impressed to hear that the MIT Entrepreneurship Forum has 27 chapters in the world, of which London is one. Entrepreneurship really does seem to be in the life blood of the college. Below are the highlights of Abdul Guefor's talk. Intel Capital think they are the largest investor in tech startups in the world. They also have offices across the world and have been investing in companies for 20 years. Whereas some VCs have only recently been realising that VC is becoming global, Intel has been there for 20 years. Intel does not use VCs as a way of doing R&D. Instead, there are things that are important to be done to help Intel’s business, but which Intel does not want to do. E.g. Wimax: Intel does not want to be a telco, but adoption of Wimax is important for growth of Intel based mobile devices, so it made sense for Intel to invest. Intel is also interested in spend companies that will be financially successful. Electronic goods that regulate their power to ensure energy is not wasted. In the past, graphics where computed by the microprocessor. In recent times, there have been dedicated graphics processors – built by companies such as Nvidia. Will there be separate processors in the future? 3D immersive graphics are expected in the future. For example, remote monitoring of patients. The impact is of this plummeting valuations and fewer finances. The crisis is different to the 2001 dot com bust in that this time the whole economy is affected and there is a lack of liquidity in the financial system. Stock markets are also not over-valuing stocks as much as previously. So is there hope for entrepreneurs? In a downturn, people / resources cost less, the quality of management shines through (i.e. the company is not on the up because everything is on the up), the less able competitors retrench and the long term investors prosper. Great sustainable companies are built in this time, for example Google was built in during the dot com bust. Sterling Moss said that in racing, when there is an accident everyone slows down… but he speeds up to get past everyone else. Entrepreneurs should create a ‘save the company plan’ (detailing cost cuts), rally their investors and ask if the board is functioning – the board is meant to bring outside perspective. VCs sometimes complain that the entrepreneurship pool in Europe is not strong enough: the entrepreneurs are few in number, they are not pushy enough and they are not good at marketing. According to a study, VC returns in Europe in the last 5 years have been -5%, whereas in the US they have been +2%. Is the VC model broken? It is probably just the case that VCs are pumping too much money into their companies; at large sums the returns will not be large. Instead, companies need to burn money slowly – for life, not just during a financial crisis. Innovation, not cost cutting, will lead us out of the recession. When choosing an investor, pick one with a strong track record and one that can provide capabilities that will make you successful. For example, for Intel the sweet spot is ventures that have a product and now just need a way to distribute it. 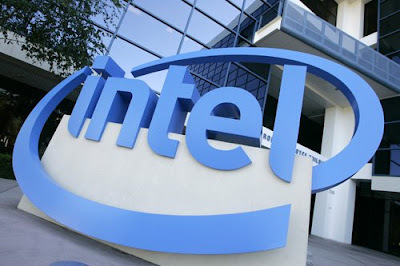 Intel are able to bring in potential client companies. For some of their startups, they have run open days for potential client companies to come in. That portal blog.dinogane.com is so very impressive. I with my friends and parents find much respectable facts from this forum. Design in this portal so very good. This is portal internet. Super! I with my parents and brother wish that Tthat forum will be so impressive forever. This site so very good too.